This meta-analysis aims to establish the diagnostic performance of 18F-NaF-PET/CT for the detection of bone metastases in prostate cancer patients. The performance of 18F-NaF-PET/CT was compared with other imaging techniques in the same cohort of patients. A systematic search was performed in PubMed/Medline and EMBASE (last Updated, September 28, 2018). Studies with histopathology confirmation and/or clinical/imaging follow-up as reference standard were eligible for inclusion. A total of 14 studies were included. Twelve studies including 507 patients provided per-patient basis information. The pooled sensitivity, specificity, diagnostic odds ratio (DOR) and the area under the summary receiver operating characteristics curve (AUC) of 18F-NaF-PET/CT for the detection of bone metastases were 0.98 (95% CI 0.95–0.99), 0.90 (95% CI 0.86–0.93), 123.2 and 0.97, respectively. Seven studies provided the lesion-based accuracy information of 1812 lesions identified on 18F-NaF-PET/CT with the pooled sensitivity, specificity, DOR and AUC of 0.97 (95% CI 0.95–0.98), 0.84 (95% CI 0.81–0.87), 206.8 and 0.97, respectively. 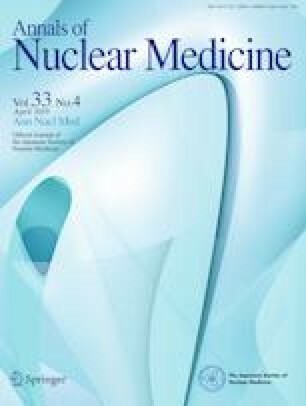 The overall diagnostic performance of 18F-NaF-PET/CT is superior to 99mTc-bone scintigraphy (AUC 0.842; P < 0.001; four studies) and 99mTc-SPECT (AUC 0.896; P < 0.001, four studies). Compared to 18F NaF-PET/CT, whole-body MRI with diffusion-weighted imaging (DWI) was shown to have lower sensitivity (0.83, 95% CI 0.68–0.93), with no significant difference in the overall performance (AUC 0.947; P = 0.18, four studies). 18F-NaF-PET/CT has excellent diagnostic performance in the detection of bone metastases in staging and restaging of high-risk prostate cancer patients. The performance of 18F-NaF-PET/CT is superior to 99mTc bone scintigraphy and SPECT, and comparable to DWI–MRI. The online version of this article ( https://doi.org/10.1007/s12149-019-01343-y) contains supplementary material, which is available to authorized users.